The 69th edition of the Berlinale – Berlin International Film Festival will include a strong Catalan presence. A total of six films will participate in various sections; four Catalan students will take part; and some fifty companies will be present at the festival and the film market. 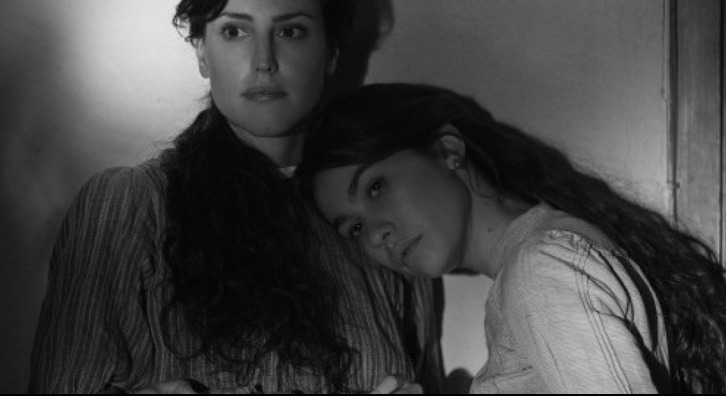 The Competition section will feature a new film by Isabel Coixet entitled Elisa and Marcela. The movie was produced by the Catalan production company Rodar y Rodar, Zenit TV, Lanube Películas and TV3–Televisió de Catalunya. In Spain, the film will be shown on regional television channels, and it will be distributed worldwide via the Netflix platform. The movie, which stars Greta Fernández and Natàlia de Molina, tells the story of the first-ever marriage between two women. The director will be returning to the festival after previously presenting My Life Without Me (2003), Elegy (2008), Nadie quiere la noche (2015), and The Bookshop (2018). Suc de síndria (Watermelon Juice), by Irene Moray, has also been selected to compete in the Berlinale Shorts section. The film, from the Catalan producer Distinto Films, will have its world premiere at the festival. A new film by Neus Ballús, Staff Only (Ikiru Films, El Kinògraf, La Terraza Films and Turanga Films, in co-production with Les Films Hatari), will competing in the Panorama section together with Brief Story of the Green Planet by Santiago Loza (Constanza Sanz Palacios, Anavilhana, AutentiKa Films, Zentropa Spain), an Argentine, German, Brazilian and Catalan co-production. These three films have received funding from the Catalan Institute for Cultural Enterprises (ICEC) through various channels. Elisa and Marcela received funding for the production of audiovisual works for television broadcast; Suc de Síndria, support from funds for the production of short films; and Staff Only, assistance from funds for the development of audiovisual projects and funds earmarked for the production of feature films, fictional TV miniseries, and animated series for television. It has also been announced that Baracoa, by Pablo Briones and The Moving Picture Boys, a Swiss, US and Catalan co-production (C-Side Productions, The Moving Picture Boys, Playlab Films) will be participating in the Generation KPlus section. Cocodrilo, a short by Jorge Yúdice (Japonica Films), has been selected to participate in the Generation 14Plus section and will have its world premiere at the festival. The Forum section has created a new programme called “Archival Constellations” with the aim of revisiting film history from the point of view of contemporary cinema. The programme will include the Moroccan film De quelques événements sans signification, by Mostafa Derkaoui, which has been restored by the Filmoteca de Catalunya. This year, four Catalans – Anna Giralt, Mireia Graell, Eva Pauné and Emiliano Pastor – have been selected to take part in the Calypso educational programme. Two projects, by the latter two participants, have also been selected: Pauné will present Each of Us in the Talent Project Market as a screenwriter, and Emiliano Pastor will present Calypso in the Script Station as director and screenwriter. Catalan screenwriter and director Carla Simón will also be present at the market with her new project, Alcarràs, a production developed with support from the ICEC. In the part of the festival for industry professionals, 10 Catalan productions will be seeking worldwide distribution agreements. Finally, over 50 Catalan companies will be present at the market under the umbrella of Catalan Films & TV, the ICEC’s international promotion brand for the audiovisual industry, which supports the sector at markets and festivals.